I was going to step away from this. Between managing my business and managing our house, I felt like I was running out of time on the spectrum of work/life balance and heading back into the world of “work” too much. I left corporate candyland to concentrate on finding that balance. But the summer taught me a number of incredible lessons and I am dedicated to getting back on track in sharing information and connecting with other members in the Autism/ Mom/ Family/Entrepreneur communities. I have discovered that the social media world can be a great outlet; An absolutely fabulous place to connect with people you might never have met; and a meeting place of kindred spirits that just make your days so much brighter. It was partially because of Twitter that encouraged me to make the statement that I am about to make.. I have signed up for a Half Marathon this fall. That’s right. The chick who couldn’t even get past 5 k this Spring is en route to the biggest physical challenge of her life. (and aside from a few nagging sore hips) is completely unafraid of something that used to terrify me. Failure. In the past, I wouldn’t have tried this. Wouldn’t even thought there was a possibility..but I have to say, you actually start “training” for something like this and it becomes a lot easier and more approachable than you could ever imagine. 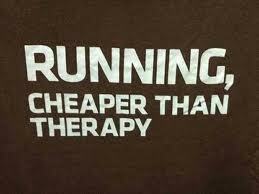 You see there is this so called brand (Running Room) with a nutty (see: Brilliant) marketing strategy wherein they invite you to their store to help you get ready for a race, all the while talking up products they have available for purchase and keeping you motivated to stay on course. We started with a 5K clinic in March, proceeded to a 10K clinic in May and were confident enough with our efforts and training that we have made the decision to go for it and run this fall in our first half marathon! I ran at first because I was angry. Dealing with a sudden diagnosis of ASD (Autism Spectrum Disorder) completely threw our world upside down. Navigating the course of Special Needs support in Toronto had me beyond frustrated and ready to give up. While getting support for your child is essential, we quickly discovered that resources are so very limited, waiting lists are long and sometimes the workers within those areas are unsympathetic. My guess is that they see so many families in some of the worst moods on the planet and have simply become desensitized to protect themselves from the emotional draw this must have on their own mindset. So I used running as my own outlet to pour out the heartache I didn’t want to burden my friends, husband, family with as I watched them all accept/adjust to this in different ways. But then something changed, I started talking about Autism. Online. Getting into conversations, reading blogs, following advocates on Twitter and being able to admit not being very strong to a random group of strangers. I started looking at running at personal goals I could achieve for myself that I could be proud of and started participating in fabulous communities/hashtags on Twitter like #momswhorun #momsrunning with a group of moms who are inspiring, motivating and simply (like me) taking it one day at a time.